Fire up the rumor mill, because with the annual IFA trade show just two months away, the leaks are already starting to roll in. 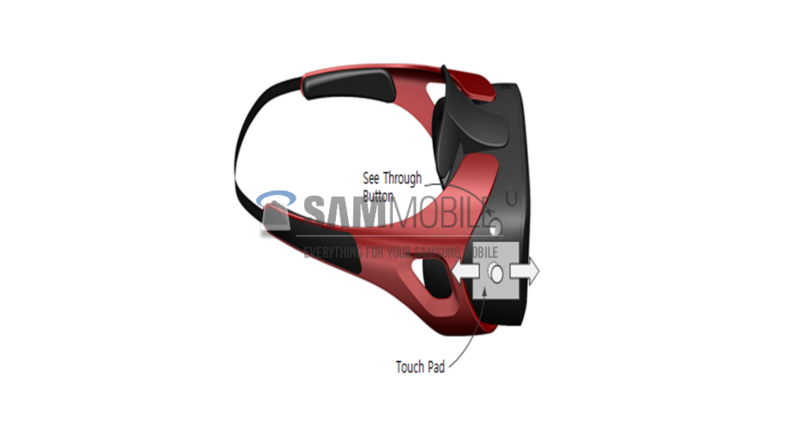 Today's comes from Sammobile in the form of two new images relating to Samsung's upcoming Gear VR virtual reality headset. 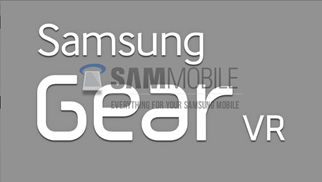 The first image would seem to confirm the Gear VR branding (it appears to be a screenshot from a setup app), while the second may be a first-use tutorial. The image of the headset itself, though, is what's interesting - Samsung's Gear VR looks like quite a polished piece of hardware, at least in the aesthetic sense, sporting ear pads and what looks to be a rather comically oversized nose bridge pad / gasket. Presumably, there's a big fat set of convex lenses in there, too. 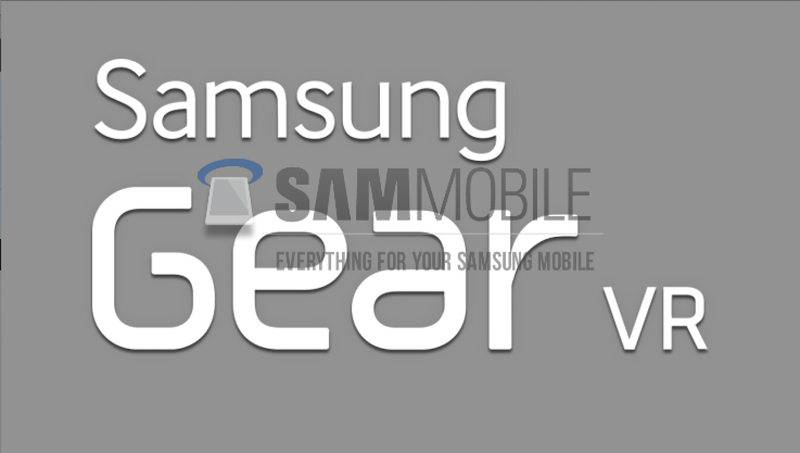 And what, pray tell, is going to be Samsung's big sell on Gear VR? Apps, of course - through Samsung's proprietary app store, a la the Gear smartwatches. Apps like video players, the gallery, and 360-degree panorama image viewers. Samsung is also partnering with Oculus on the software side of Gear VR, so hopefully that will also mean we'll be seeing significant interest from game developers in the device which, frankly, is probably 95% of the VR business model at the moment. 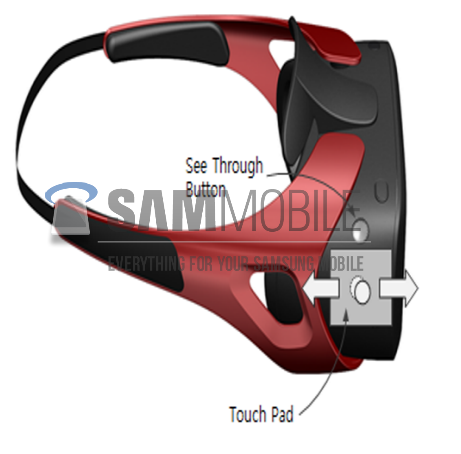 Based on the diagram, Gear VR will be controlled by a Glass-style touchpad on the right temple, along with a button just above the touch area. The image here doesn't show any external connectivity options or other ports, but one can hope that Samsung's Oculus partnership means that Oculus-ready PC titles might be able to mirror from your computer to the smartphone inside Gear VR. At least, that's what we all probably would like. Sammobile claims Gear VR will launch alongside the Note 4 at IFA, in Berlin, this September.